All of the works of H.P. Blavatsky plus more in one CD-rom. Imagine all the occult knowledge that is permitted at this time to be known, all in one CD. Imagine being able to access in an instant over 13,000 paqes of the most important collection of knowledge in written history, and read the original words of Theosophys leading proponent Helena P. Blavatsky. 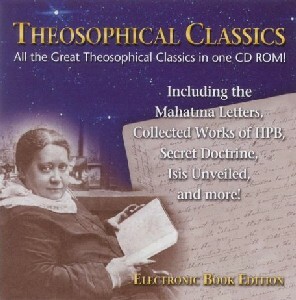 In addition the cd contains other essential works in modern Theosophy, such as The Mahatma Letters to A.P. Sinnett (Chronological Edition), Esoteric Buddhism, Light on the Path (a devotional work dedicated to those willing to take the journey to initiation), and a teaching series from a prominent Theosophist, Letters from the Masters of the Wisdom, Series I and II. As an added bonus a very fast searching tool has been included to facilitate the study of HPB works for researchers, students, scholars and writers. Every word is pre-indexed, rendering the search for a particular phrase of word practically instantaneous. You can search for words or phrases throughout all the titles, or within individual or selected titles. You can also search for multiple words that begin with the same letters. 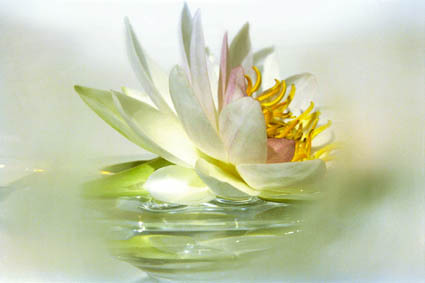 For example, to search for all occurrences of Karma, karman, karmic, and karmically, just type in karm*. Search results are identified by book, chapter and section. The major works have page numbers based on the original books, facilitating cross referencing and direct quoting. Passages can be cut and pasted into standard word processors. Imaging the hours of work saved with just a few clicks! Every word and illustration in the printed editions are faithfully reproduced in this cd-rom: Diagrams and charts, Photographs, Greek, Hebrew and other languages and special charactrers are also included. Chapters and sections can be bookmarked for easy retrieval. Texts can be magnified up to 500%, and sections can be marked for later printing.